Is it possible to visit Roma’s award-winning locations? After its triumph at the 2019 BAFTAs and Golden Globes, Roma’s crowning as Best Film at the Oscars looks all but certain. Worldwide acclaim is a poignant outcome for this deeply personal film, closely modelled on director Alfonso Cuarón’s own childhood in Mexico City. The lead characters, maid Cleo (Yalitza Aparicio) and mother Sofía (Marina de Tavira), are based on his own nanny and mother, and the movie is set where he grew up in the Colonia Roma area of the city, now a very fashionable part of town but then a bourgeois residential area. From conception, the idea was to create a piece as close to his memory as possible. As Cuarón put it in one interview, ‘The marching orders at the beginning was that everything was going to be shot in the place where the actions took place. Then reality hit.’ Discovering that the city of his past was no longer there, the director engaged in a combination of onsite shooting and painstaking reconstruction, undertaken in close collaboration with production designer and fellow Roma resident Eugenio Caballero. In the end, the process ensured that Roma was as much a tribute to the city as it was to the two women who raised him. 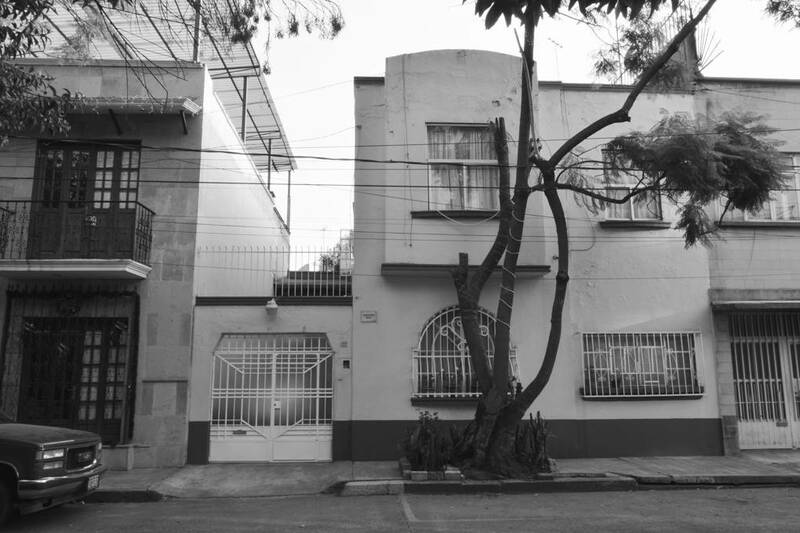 At the heart of this labour of love is the family house where Cleo and Sofía share sovereignty. 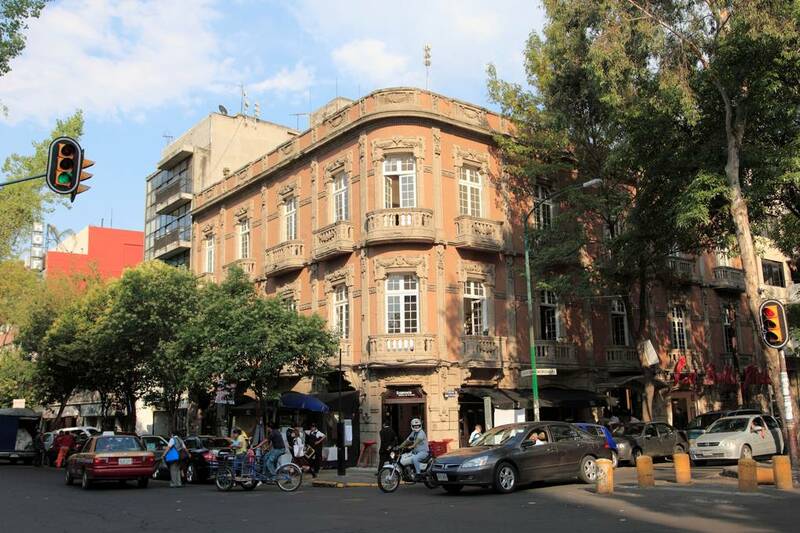 The gated exterior we see is at Tepeji 22 (pictured above) in the southern part of Roma, directly across the street from Cuarón’s former home at 21; a plaque on the wall now proudly announces ‘Aquí se filmó Roma 2016-7’. For the interior, the director resisted taking his crew of largely first-time actors to a studio, so recreated his home in another house of similar 1930s vintage nearby. Since the property was due for demolition, it could be converted halfway to a soundstage, with room for lights and cameras and the ability to remove entire walls on a pulley system. As well as adding a kitchen and the servants’ area where Cleo lives with fellow maid Adela, Cuarón moved in several items of the furniture he’d grown up with, taking his insistence on detail to the extent of filling unopened drawers with toys. Even more care was taken over the patio, where we see both father and mother strenuously parking the family Ford Galaxy: the tiles, which provide the film’s opening scene, were identified by the director in another property on a scouting expedition and then custom-made by a local artisan under Caballero’s instruction. Key scenes also take place in other real-life Roma landmarks. 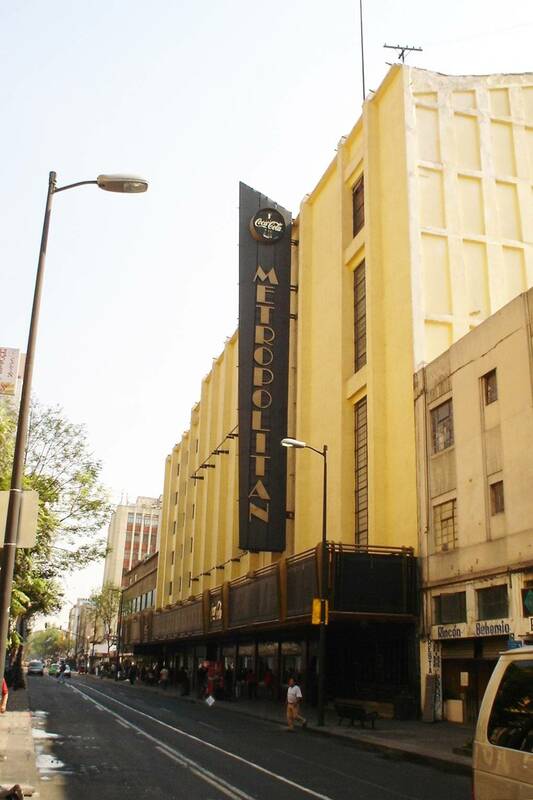 The cinema where Cleo goes with her boyfriend Fermín is the Teatro Metropolitan (pictured above), on Avenida Independencia. Built in 1943 in grand Art Deco emulation of New York’s Radio City Music Hall, it is now a live music venue. Its significance to Cuarón is such that he held the premiere of his 2001 film Y Tu Mamá También there, though for Roma he returned it to the faded glamour of its 1971 existence, down to changing the seats. 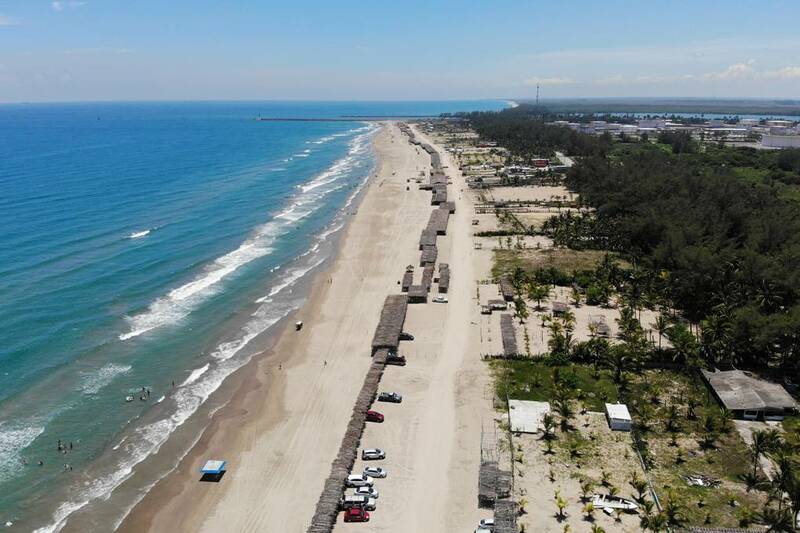 The climactic scene at the beach, meanwhile, was filmed at Tuxpan (pictured above), on the coast to the north-east. Here, the crew built a jetty in order to film in the sea, competing with tropical storms and technical malfunctions to achieve the sequence. 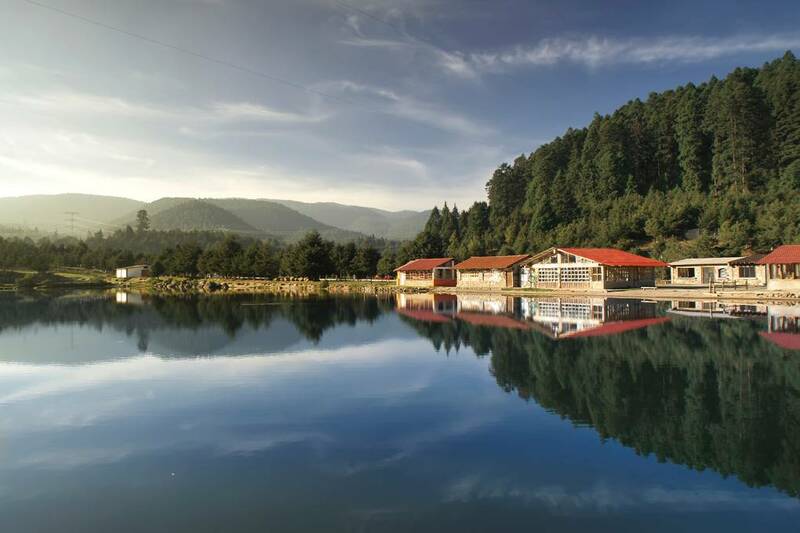 For the New Year party at a country hacienda, the production moved to La Marquesa (pictured above), a national park 35km south-west of Mexico City. Different parts of the house were filmed in different properties in pursuit of recreating the director’s memories as closely as possible, and even the fields outside were changed, with the addition of ponds and landscaping. Here, as in every scene in the film, Roma moves beyond realism to become a further tribute, honouring the power of detail.